Feature trailer for The Hurt Locker, starring Jeremy Renner. 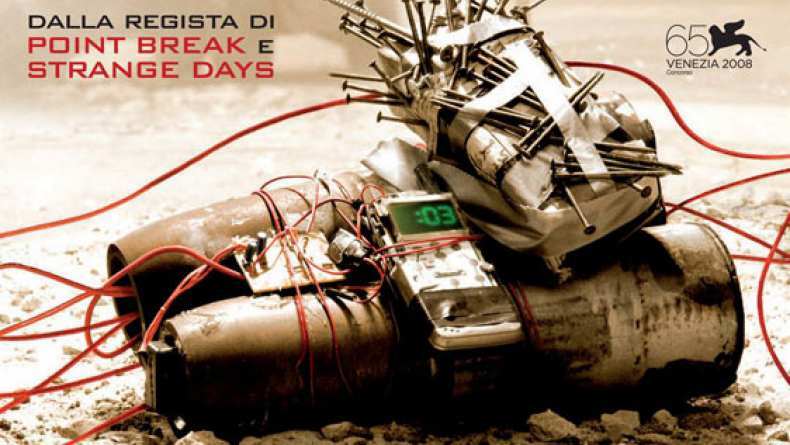 The Hurt Locker, winner of the 2008 Venice Film Festival SIGNIS Grand Prize, is a riveting and suspenseful portrait of the elite members of the Explosive Ordnance Disposal (EOD) squad, soldiers who volunteer to challenge the odds and save lives in one of the world’s most dangerous jobs. Three EOD members battle insurgents and each other as they seek out and disarm deadly bombs in a thrilling race against time. A heart-pounding, edge-of-your-seat look at the effects of combat and danger on the human psyche, The Hurt Locker, meaning a place of ultimate pain, is based on the first-hand observations of journalist and screenwriter Mark Boal, who was embedded with a special bomb unit in Iraq. It is a gripping portrayal of real-life sacrifice and heroism and a layered, probing study of the soul-numbing rigors and potent allure of the modern battlefield.